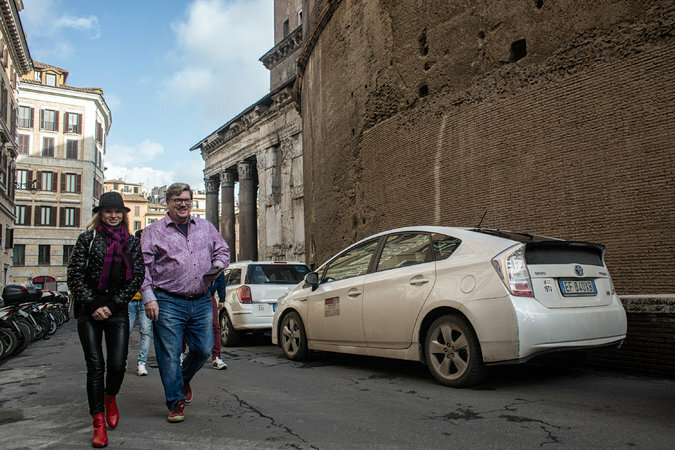 Around 750 of Rome’s 6,000 taxi drivers have signed up to take the course, which also explores the complexities of cultural differences and the basics of common courtesy. The city tourism department has tailored similar courses for hotel staffs and private hospitality enterprises like Airbnb. Ms. Selloni said the demand for hospitality training had become urgent in recent years with a significant increase in tourists from China and the Middle East. Hence the course offers an overview of social norms in various cultures, including national proxemics (the amount of expected personal space), nonverbal communication and potentially offensive hand gestures. “Someone has to tell the poor taxi driver that you can’t be the first to offer your hand to an Arab woman or touch a Chinese person’s luggage unless they say so,” said Ms. Selloni, who noted that the European Union had designated 2018 the “E.U.-China Tourism Year,” and that many Asian visitors to Rome were expected. About half of the course is devoted to languages, mostly English — a smattering of phrases like “Have a nice day,” “traffic jam” and “Please don’t smoke in the taxi” (which could apply to drivers themselves, it was pointed out) — but also Arabic and Mandarin. The Colosseum in Rome. Taxi drivers have a reputation for unsolicited drives past major sites, but are training to be good-will ambassadors for the city. The language instruction was calibrated to put the drivers at ease. 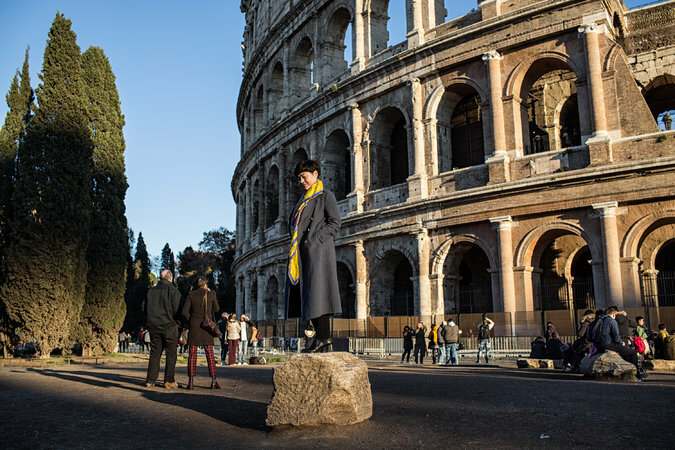 Rome is visited by around 14 million tourists each year, and the feedback they share online has a considerable effect on tourism, as Guendalina Iafrate, a tourism expert and program docent, emphasized to the class. “No one returns to a place where they’ve been treated badly, nor will they tell others to go,” she said. “We must start thinking of tourists as guests, someone we give hospitality to,” Ms. Iafrate said, gently addressing complaints logged against cabdrivers. “No one likes the feeling of being ripped off, but there is a notion among some people that tourists are like geese that lay golden eggs,” she said. Other teachers emphasized cultural differences: Why some cultures tip. Why some are more touchy-feely. Why some are apt to complain more than others. Ms. Selloni, the tourism director, said another important objective was to make taxi drivers — who have often come to loggerheads with city officials over contentious issues — feel more a part of the city whose streets they know so well. One driver, Umberto Nucci, said he was glad to have taken the course.